Alice Faye Peele Rice age 73, widow of the late Nathaniel B. Rice died Thursday, February 14, 2019. She was a native of Columbia, SC and a daughter of the late Richard L and Emily Wingard Peele. She was retired from the Allendale County Correctional Institute anda member of Allendale First Baptist Church. Faye and Nat enjoyed University of South Carolina football and socializing with many friends. 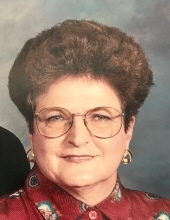 Funeral Services will be 2:00 PM Sunday, February 19, 2019 at Allendale First Baptist Church with the Reverend Carol Holladay officiating. Interment will follow at Gillette Cemetery. Visitation will be 1:00 pm until 2:00 pm prior to the service. Family members include, sisters, Elaine (Harold) Cromer and Anne Peele; one niece Kathy B. Schumer (Raymond) and special friend Ronnie Abbott. Her life long friend and special caregiver Mary Blankenship. To send flowers or a remembrance gift to the family of Alice Faye Peele Rice, please visit our Tribute Store. "Email Address" would like to share the life celebration of Alice Faye Peele Rice. Click on the "link" to go to share a favorite memory or leave a condolence message for the family.